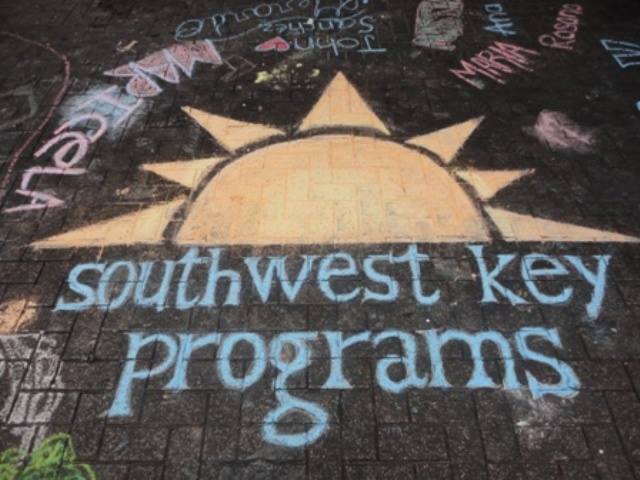 The House Health and Human Services Committee approved on a 9-0 vote Thursday a Senate proposal changing how the state oversees federally contracted facilities like Southwest Key that run migrant youth shelters. Senate Bill 1247, sponsored by Sen. Kate Brophy McGee, applies to child behavioral health residential facilities that contract with the federal government. It strengthens background check requirements, gives state health regulators discretion to inspect the facilities and adds requirements on when those facilities notify the state health agency of serious incidents. SB1247 is a response to controversies surrounding Southwest Key’s operations in Arizona. Last year, state health inspectors found concerning inefficiencies in its compliance of background check requirements. Several sexual abuse cases were uncovered by local and national media, and physical abuse reports led to the shut down of one facility. While all legislators in the House committee supported the proposal, several Democrats on the panel said it doesn’t do enough. Butler introduced an amendment to SB1217 to also require the creation of a community oversight board for facilities providing services to migrant children. The amendment was the same as Democrat-proposed legislation that failed to advance in both chambers. “There’s so many gaps in oversight, and that’s why I think having more eyes on this is necessary,” she said. The board would have authority to inspect employee records and reports filed with the Arizona Department of Health Services or law enforcement, review services provided and make scheduled visits to any facility. ADHS licenses two organizations that run migrant youth shelters, Southwest Key and A New Leaf. They operate facilities as residential behavioral health centers for children. The youth in facilities like Southwest Key are migrants, mostly teenage boys from Central America, who arrived in the U.S. alone to seek protection or were separated from their parents after entering the country. They are in the custody of the U.S. Department of Health and Human Services’ Office of Refugee Resettlement and are in the shelters pending reunification with their families or release to sponsors in the U.S.
Brophy McGee told the House panel that Butler’s amendment won’t do much because the oversight board wouldn’t have authority to access a federally contracted facility. She suggested changes at the federal level. Present at the meeting were members of the community group Uncage and Reunite Families Coalition, which formed to reject family separation policy and has called for the state to clamp down on facilities that hold migrant youth like Southwest Key. Esther Duran, spokeswoman for the group, urged the committee to “do what’s right” and pass the amendment. The committee rejected the amendment on a party line vote, with the five Republicans in opposition and the four Democrats in support. We are very disappointed the amendment to SB1247 to establish an independent oversight committee for facilities that house migrant children did not pass in committee today. Thank you Rep @KelliButlerAZ for amendment. URFC will press on for changes to protect children. During the committee hearing, several lawmakers took the time to make larger points about their views on immigration. Rep. Jay Lawrence, R-Scottsdale, said migrant children are being used by their parents to gain entry into the country. In an emotional account, Rep. Alma Hernandez, D-Tucson, said for years she’s helped asylum-seeking families waiting on the Mexican side of the border. SB1247 still has to go through the Rules Committee, which reviews the constitutionality of proposals, before heading to the House floor for consideration by the full chamber. Broophy McGee’s first version of the bill was more sweeping in terms of inspection requirements but she narrowed its scope to soften the state’s oversight reach.